Magnesium deficiency is an increasingly worrying issue in the West. According to most estimates, fewer than 30% of Americans get the recommended daily allowance from their diets meaning that the other 70 or so percent of the population is deficient in this essential mineral. Magnesium is involved in over 300 metabolic bodily processes and has earned the moniker of ‘master mineral’. Adequate intake of magnesium is absolutely vital in to myriad bodily processes. Magnesium is anti-inflammatory in nature and offers protection against a range of conditions including diabetes, high blood pressure, arthritis, Alzheimer’s disease and many more illnesses. Magnesium should be available naturally from dark leafy veg such as cabbages, spinach and broccoli as well as nuts, beans, seeds and grains. These foods get derive their magnesium directly from soil. However, these days, the magnesium content of soil has been severely depleted meaning that it is increasingly more difficult to obtain the recommended amount of magnesium from the diet. Increasing use of pesticides and herbicides. Potash used as a fertilizer which is taken up by the plants instead of magnesium. Stress can decrease the body’s ability to absorb magnesium. Fluoride in toothpaste and water. Certain intestinal illnesses like IBS and leaky gut syndrome can hinder the body’s ability to absorb magnesium. While magnesium supplements are becoming more and more popular to combat deficiencies, it is preferable to get your magnesium from more natural sources. Having said that, many foods that previously contained high concentrations of magnesium now possess far less for the reasons described above. Because of the difficulties in getting sufficient magnesium from our diets, many more concerned people are instead turning to supplementary forms of magnesium. However, because magnesium needs to be bound with another substance such as salt in order to be properly absorbed, there are a variety of supplements on the market with slightly different bioavailability and benefits. The difference in bioavailability alters the effectiveness of supplementation as it refers to how much magnesium actually gets absorbed into the body. Magnesium citrate is actually the most popular of all the magnesium supplements. It is relatively cheap and is more easily absorbed than many other supplements with a bioavailability of 16%. Magnesium citrate also acts as a mild form of laxative that can be useful for constipation as well as a magnesium boost. It works by attracting the water through tissues and upon reaching the ileum or small intestine; it attracts sufficient fluids to stimulate defecation. Magnesium citrate is best taken when your stomach is empty with a glass of juice or water to help absorption. Magnesium chloride contains only around 12% of elemental magnesium however it is absorbed by the body very well and is considered to be among the best magnesium supplements to detoxify the tissues and cells. It can also improve kidney function and stimulate sluggish metabolisms. It is ionized over a wide pH range from the pH 2 found in gastric acids up to 7.4 seen in blood and lymph tissue. The chloride present in magnesium chloride produces hydrochloric acid within the gut which actually helps enhance the way it is absorbed. For that reason, magnesium chloride is considered to be the best supplement for people suffering from low acid levels in the stomach. Magnesium malate has only around 6.5% elemental magnesium but it is considered one of the very best supplements for those suffering from tiredness and fatigue. Malic acid which is present in the majority of our body’s cells is actually an acid found naturally in fruit. Malic acid is an essential compound in enzymes which play a vital role in energy production and ATP synthesis. Magnesium malate is highly soluble since the ionic bonds between malic acid and magnesium are broken relatively easily. READ Is Brown Rice better for you than White rice? Magnesium carbonate which contains 42% elemental magnesium is yet another popular choice of magnesium supplement. Bioavailability estimates vary from as low as 5% up to 30%. When magnesium carbonate reaches the stomach, it combines with the gut’s hydrochloric acid and converts into magnesium chloride. In sufficiently high doses, it can have a moderate laxative effect. Because it has antacid properties, magnesium carbonate is considered to be one of the best supplementary choices for those suffering with digestive complaints such as acid reflux or indigestion. For those suffering with cardiovascular problems, magnesium taurate is an excellent option. It can protect the heart from the damage done by coronaries and is also known for its ability to prevent arrhythmic heart beats. This form of magnesium is easily absorbed by the body and has no laxative properties at all. This form of magnesium supplement uses glycine which is a form of amino acid. It is considered to be among the most bioavailable forms of supplement and one of the best and safest options to treat longer term magnesium deficiency. It is also not a laxative in any way and is considered the least likely supplementary form of magnesium to cause diarrhea. Despite the fact that magnesium oxide has a 60% elemental magnesium content, it is very poorly absorbed by the body and possesses a low bioavailability. In fact, absorption is believed to be as little as 4% meaning that the majority of a capsule is wasted and not absorbed in the stomach. Magnesium oxide is cheaper than many other forms of supplement and is commonly used in poorer quality magnesium supplements. Also known as Epsom salt, this form of magnesium supplement is considered to be a great remedy for constipation however it also poses a greater risk of overdose and is not considered to be a safe dietary form of magnesium. That being said, Epsom salt has numerous valuable uses as an external home remedy. It is recommended that both these forms of magnesium are completely avoided. Both aspartic acid and glutamic acid are components of the controversial sweetener aspartame which is commonly used in many soft drinks and other sweet products. Although the jury is still out, aspartame is considered by many health experts to be potentially dangerous. When these acids become unbound from different amino acids, they may become neurotoxic. Magnesium peroxide is another magnesium supplement with a very high elemental magnesium percentage of around 42%. However, this form of magnesium is poorly soluble when in water and is likely to be absorbed poorly by the body. When suspended in water, magnesium hydroxide is possibly better known as milk of magnesia which is commonly used as a laxative or to treat digestive issues like indigestion or heartburn. 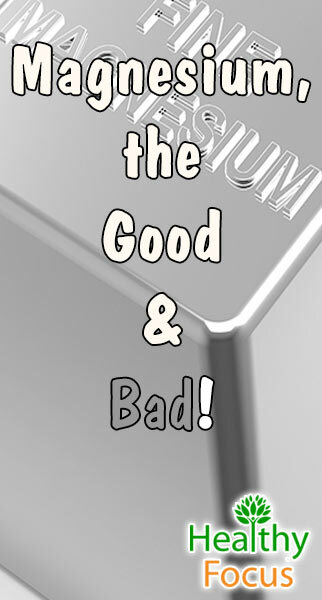 It is better to look at the type of magnesium and not just the milligrams. Many multivitamins contain Magnesium Sulfate. 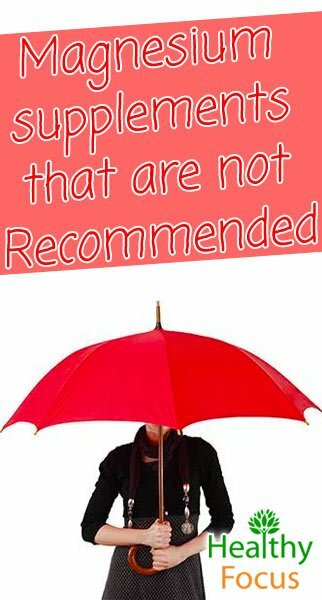 While it probably will not hurt you—it won’t be as much of a benefit if you are deficient.